This August I began my first professional year in the Master of Athletic Training program at Saint Louis University. With this, I began my clinical placement at Parkway West High School under the supervision of my preceptor, Matt Berning, MAT, ATC. 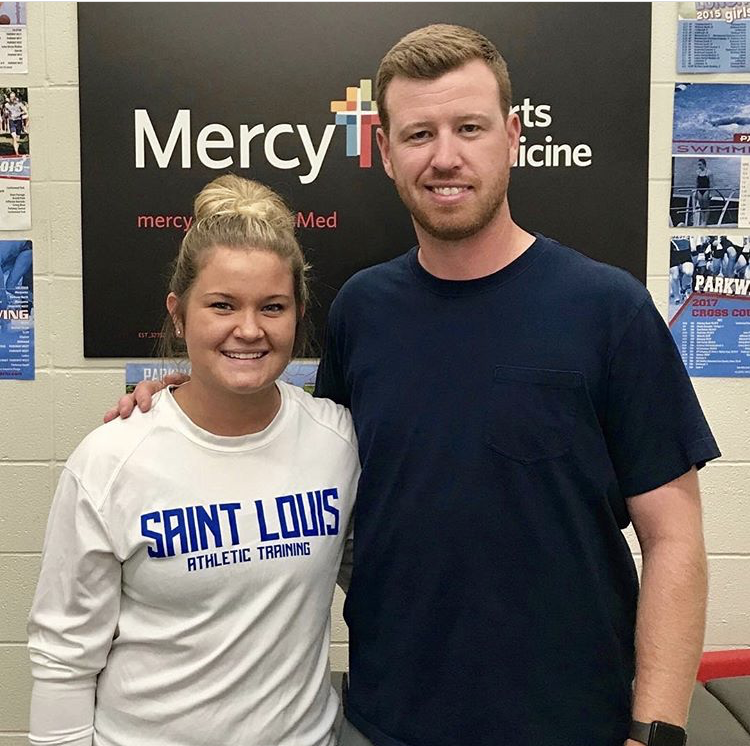 Although Matt is the athletic trainer at Parkway West, he works for Mercy Sports Medicine. This allows for a cool opportunity to work directly with sports medicine doctors from Mercy, as well. Because of this, we follow Mercy's protocols and standards for treatment of out athletes in order to provide the best care possible. With an enrollment of around 1500 students, Parkway West is a large public high school with many different sports teams. This fall we have covered thirteen different teams ranging in size from a few athletes to close to 100. With a wide variety of athletes under our care, I have gotten the opportunity to see many different injuries and go about assisting Matt in the process of helping the athlete return to play. Luckily, we have not had any life-threatening injuries yet, however, we have had quite a few concussion that have been very educational to see. Overall, Parkway West has been a great first clinical experience and introduction to clinical work. I have already gotten lots of hands on experience and have gotten the opportunity to further my skills a great deal in a short time. Matt, as well as the coaches and athletic department at West, are great at giving students the chance to grow and learn within the profession, as well as, being welcoming and making them feel comfortable. I could not have asked for a better first experience with clinical work!